Back at Mobile World Congress, Huawei unveiled the follow-up to its 2017 MateBook X, the MateBook X Pro. The laptop has received some excellent reviews since then. Now, it's finally available in the US, and for less than what was expected. The MateBook X Pro ups the screen size of last year’s model to 13.9 inches. The LTPS ten-point touchscreen features a 3000 x 2000 resolution and, thanks to its super-slim bezels, has a 91 percent display-to-chassis ratio. One of the laptop’s most unusual features comes as a result of those bezels. Their thinness meant Huawei couldn't place a webcam in the traditional spot above the screen; instead, it’s hidden on the keyboard. A special key pops up to reveal a front-facing lens when pressed. Great for those worried about privacy, though there are questions over how well it works given the shallow angle. The base configuration consists of an 8th gen Intel Core i5-8250U, 8 GB of LPDDR3 memory, a GeForce MX150 card with 2 GB of DDR5 memory, and a 256 GB NVMe SSD. It was thought that this entry level model would cost around $1850, but it’s on sale for $1199. For those wanting more space and power, paying an extra $300 will get you the model with a Core i7-8550U, 16 GB of RAM, and a 512 GB SSD. 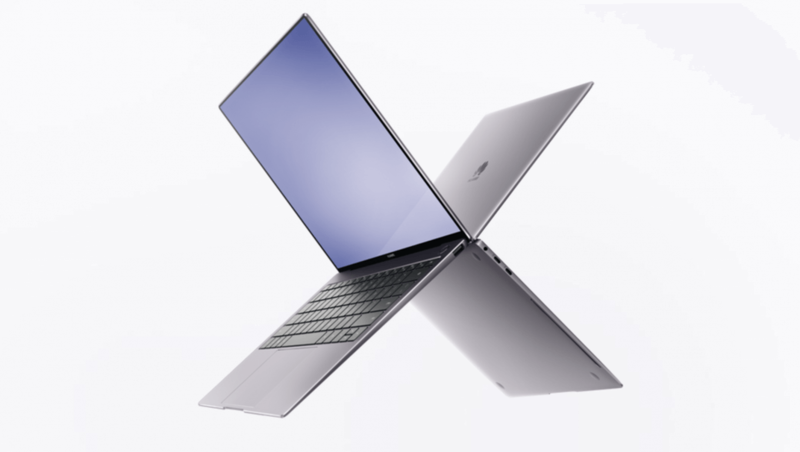 The MateBook X Pro also features a fingerprint scanner integrated into the power button, two USB-C ports (one with Thunderbolt 3), one USB-A port, and a 57.4 Wh battery that manages 12 hours of video playback. If you’re thinking of buying a MateBook X Pro, Newegg is giving away a $150 gift card with both versions of the laptop. It’s a limited offer, so you better move fast.